Here are three key measures of house prices: Price-to-Rent, Price-to-Income and real prices based on the Case-Shiller quarterly national home price index. 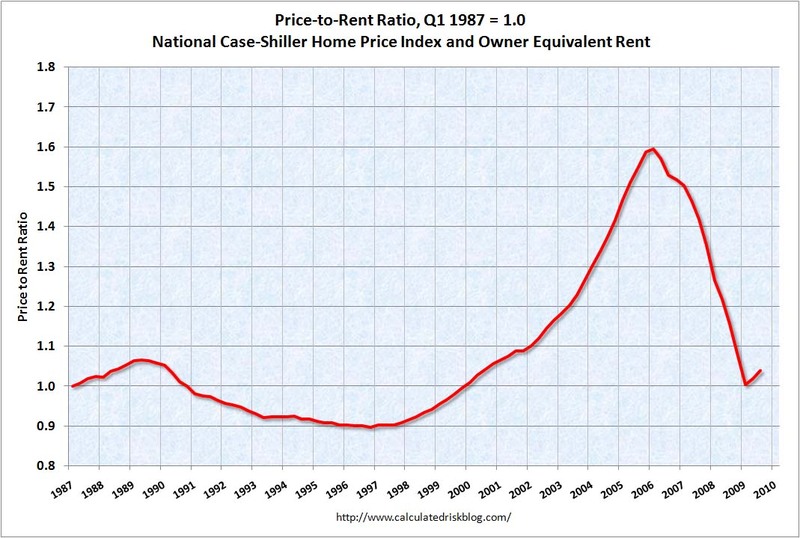 This graph shows the price to rent ratio (Q1 1987 = 1.0) for the Case-Shiller national Home Price Index. For rents, the national Owners' Equivalent Rent from the BLS is used. 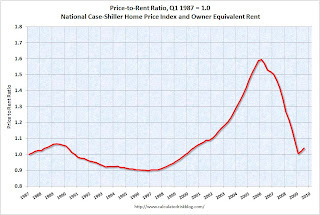 Looking at the price-to-rent ratio based on the Case-Shiller index, the adjustment in the price-to-rent ratio is mostly behind us as of Q3 2009 on a national basis. However this ratio could easily decline another 5% to 10% or so, and with rents now falling, prices could fall even more. 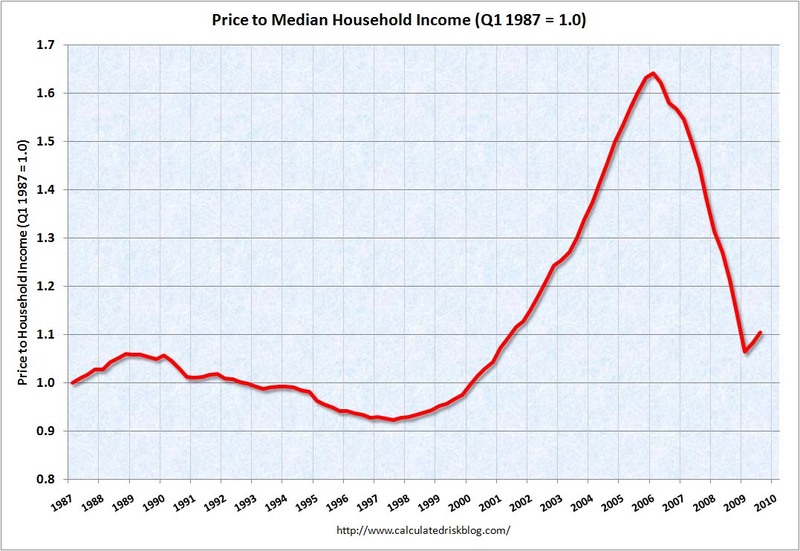 Notice the price-to-rent ratio is currently almost as high as during the late '80s housing bubble. This graph is based off the Case-Shiller national index, and the Census Bureau's median income tables, and flat for 2009. 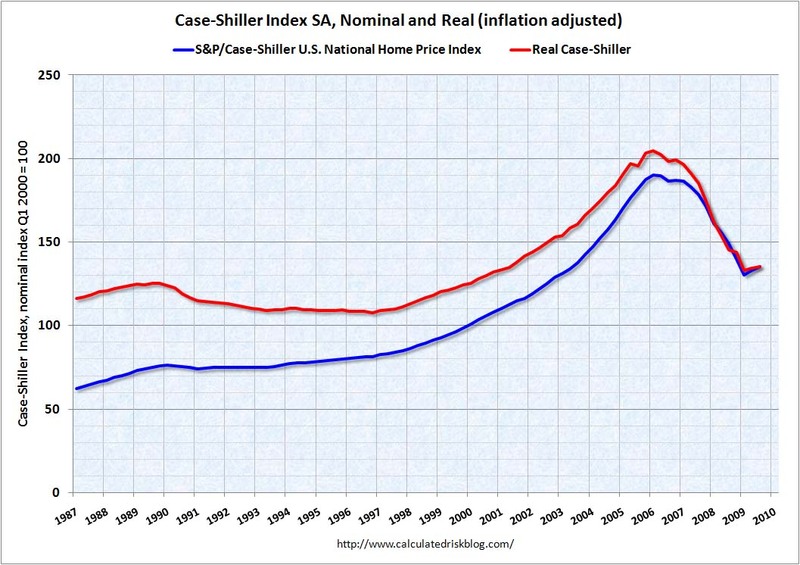 Nominal prices are adjusted using CPI less Shelter. 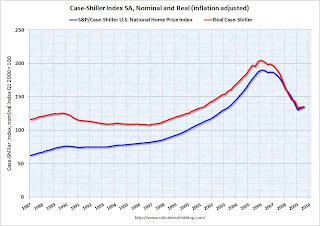 The Case-Shiller real prices are still above prices in the '90s and perhaps real prices will decline another 10% or so. Prices can and do increase in real terms - especially in areas with land constraints. Also newer homes are larger than older homes - so the real prices are higher. These measures are useful, but somewhat flawed. These measures give a general idea about house prices, but in the short run there are more important factors like inventory levels and credit issues. All of this data is on a national basis and it would be better to use local area price-to-rent, price-to-income and real prices. 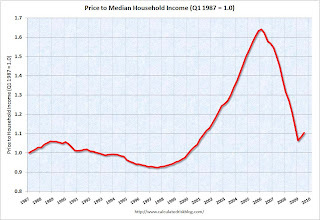 It appears that house prices - in general - are still too high. 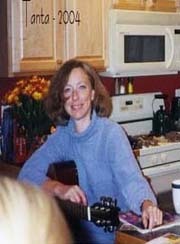 However prices depend on the local supply and demand factors. In many lower priced bubble areas supply has declined sharply (because of the loan modification efforts and local moratoria), and demand was very strong in Q3 from the first-time home buyer frenzy and cash flow investors. This has pushed up prices at the low end, and suggests price might fall some again at the low end - although probably not to new lows. However in the mid-to-high end of the bubble areas - with significant supply and little demand - prices are still too high. And I expect further declines in those areas and probably nationwide (although this isn't as obvious as it was in 2005 since most of the price declines are over).